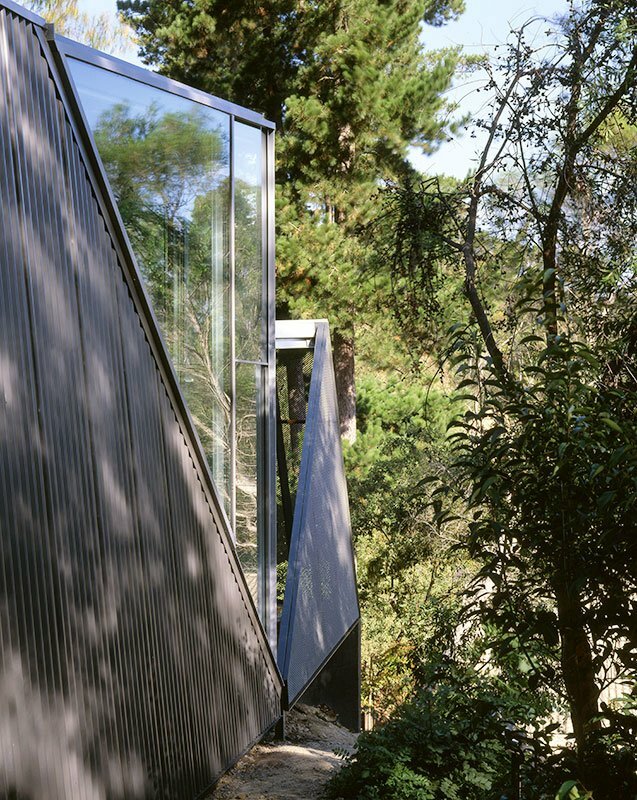 Located on a sloping site in Park Orchards, the project is a multiple-extension to an existing house designed by Alistair Knox in 1975. 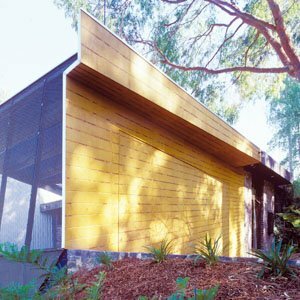 Coincidental with Melbourne’s geographical statistics relating to car ownership (Park Orchards has the highest percentage of households with three or more vehicles), the brief was to design enough garage space for four cars plus an extension to the existing living area to the south. 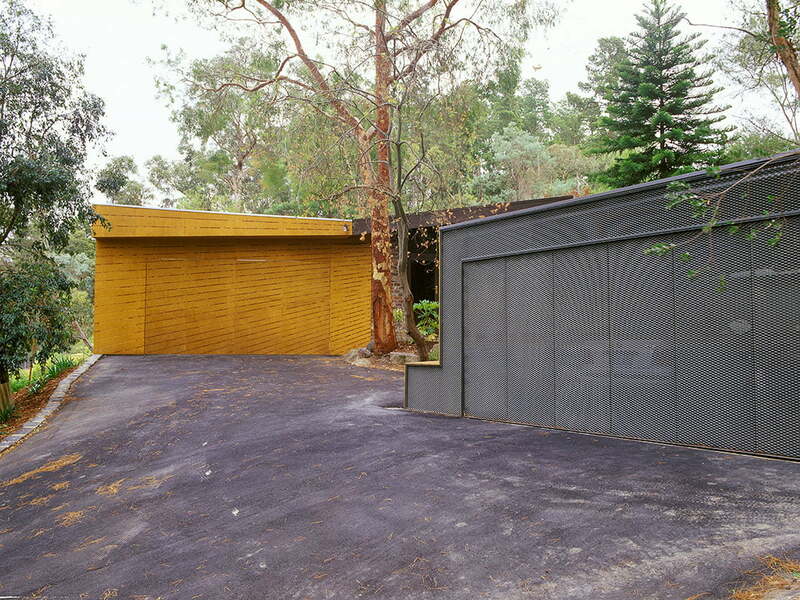 Whilst the project needed to respond to original aswell as more recent cultural, physical and topographical contexts, it also needed to sincerely acknowledge the inevitable ironies of bush suburban living, the proximity to neighbours, the ethos of car ownership and the handling of subsequent change on a genuine set of original ideals to do with ‘lifestyling the bush’. 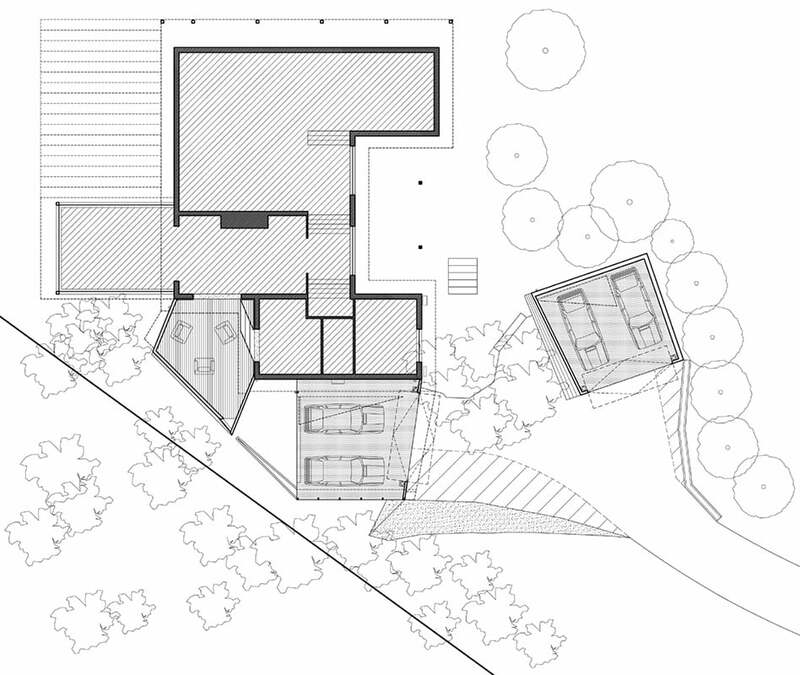 Special attention was paid to the configuration of garage spaces and how these would impact on the original house in physical terms, but also in terms of the syntax of approach, arrival and entrance. The strategic difficulties of attaching a new structure to Knox’s building are resolved by faithfully building from the eaves and corners of the original structure. 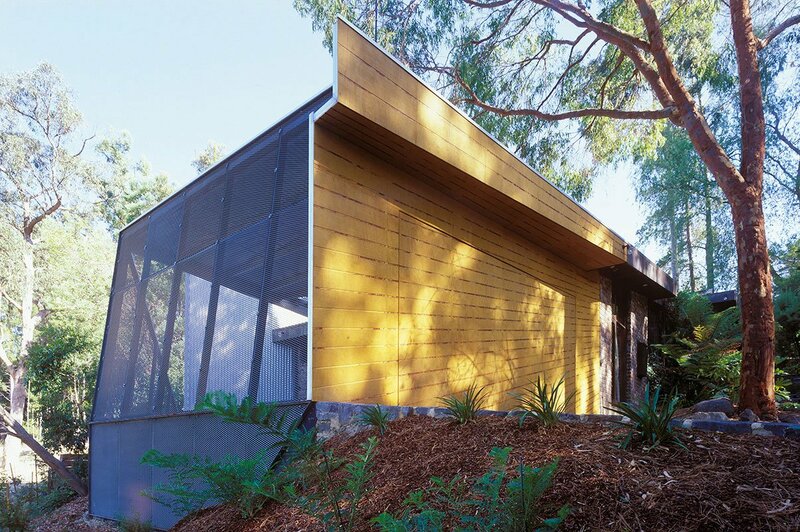 Externally, the treated pine cladding has been machined to just reveal the brown glue layer binding the play strata together. 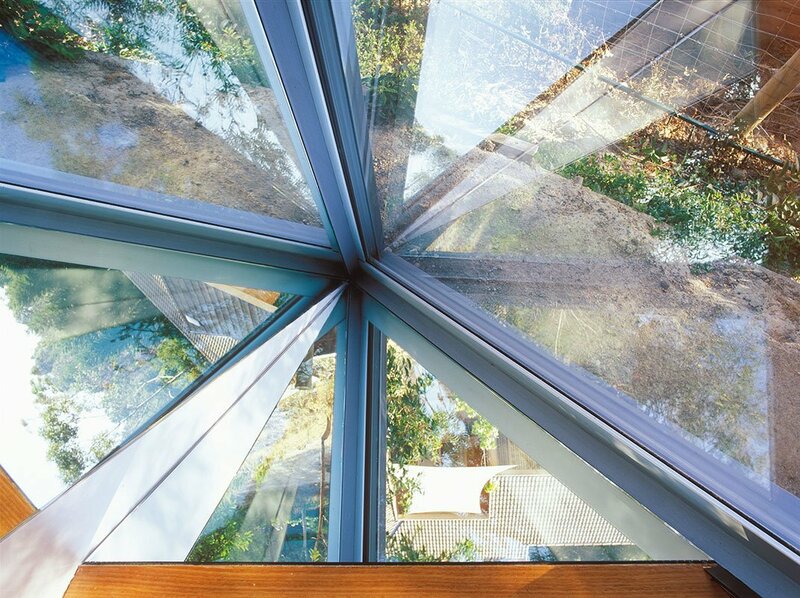 Internally, the new living area engages with the bush outside via an illusory portal which is half window and half mirror. 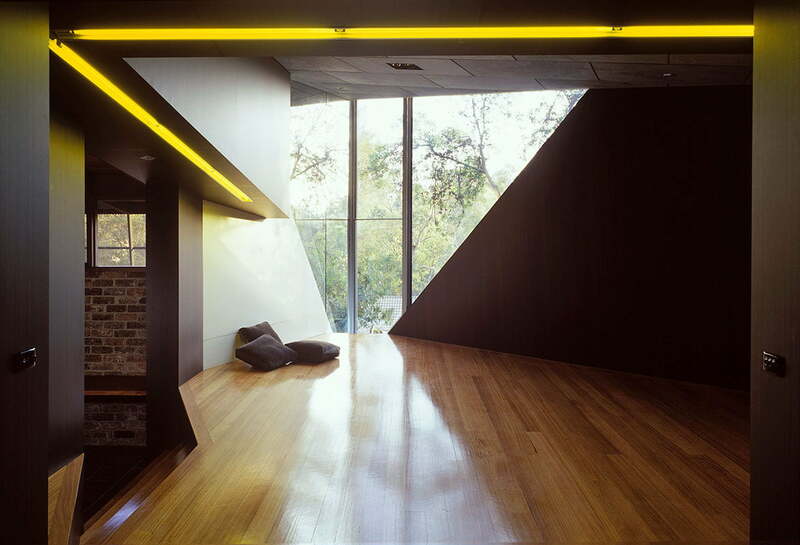 Within this space, the physical forms of the original house are revealed in the shapes of eaves lined with dark veneer accentuated using recessed lighting.